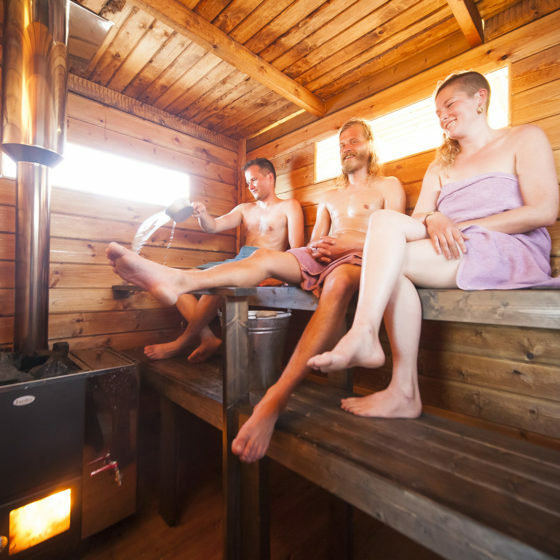 Rovaniemi is a well-known winter holiday destination with tons of stuff to do in the snow. 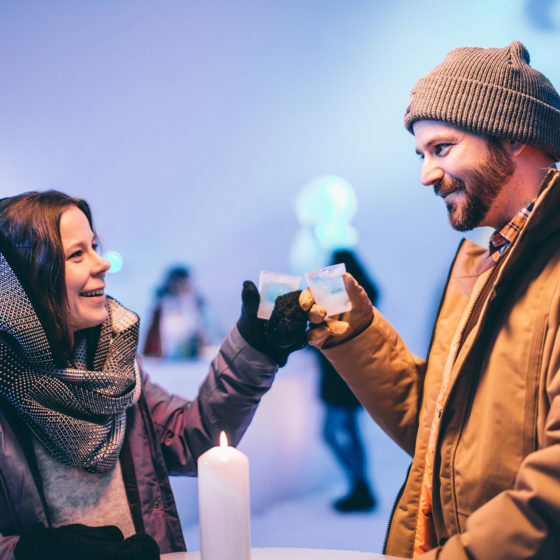 Here we’ve compiled a list of things to give you an idea of the activities available in the Rovaniemi area in the winter. 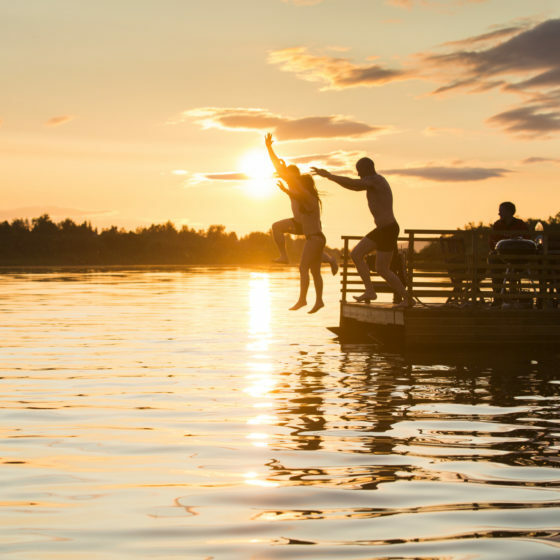 But there’s a lot more to do than the things we’ve listed below: see also our full list of winter adventures. 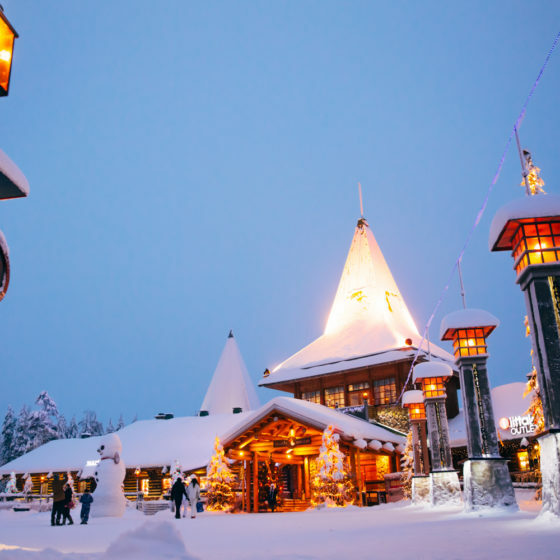 There’s no place to feel true Christmas magic like Rovaniemi, the Official Hometown of Santa Claus! 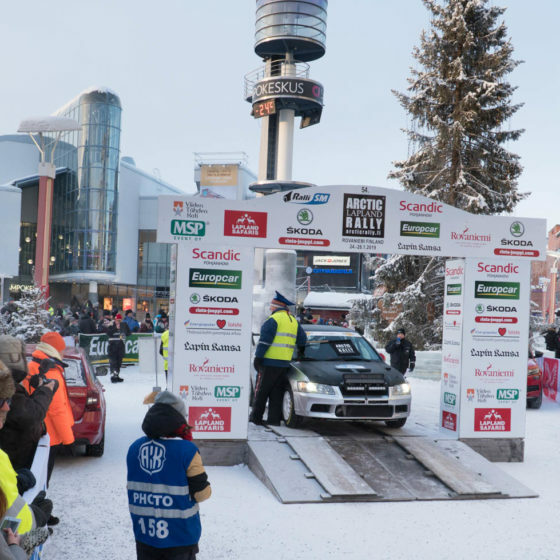 Several Christmas-themed attractions and activities are available in Rovaniemi. 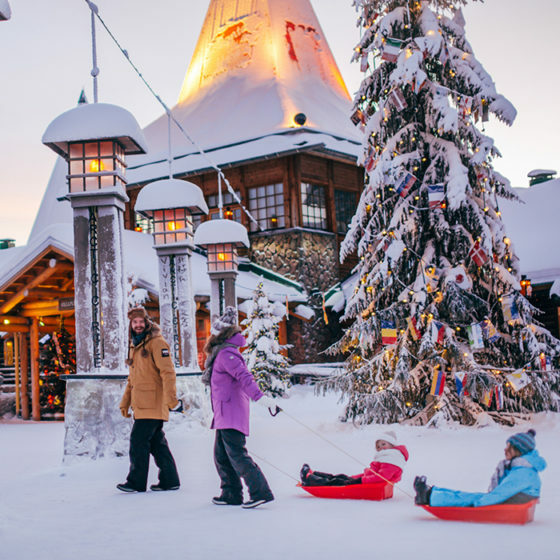 Meeting Santa Claus is a must in Santa Claus Village, where the sheer atmosphere is enough to bring on festive feelings. A thing for all future elves is attending Elf School in SantaPark, where all graduates get a magical diploma! 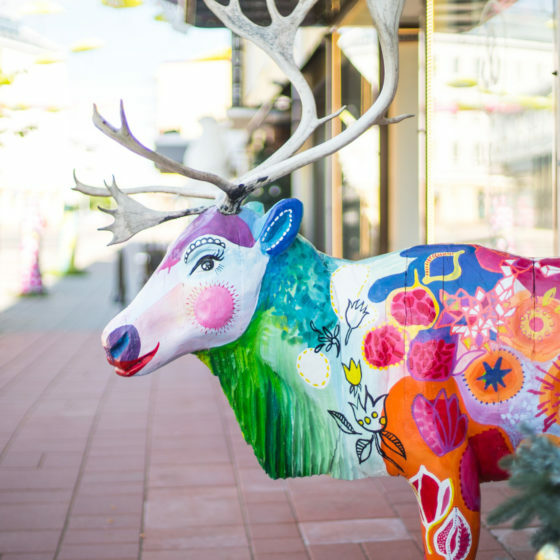 Reindeer are the symbolic animals of both Santa Claus and the province of Lapland. 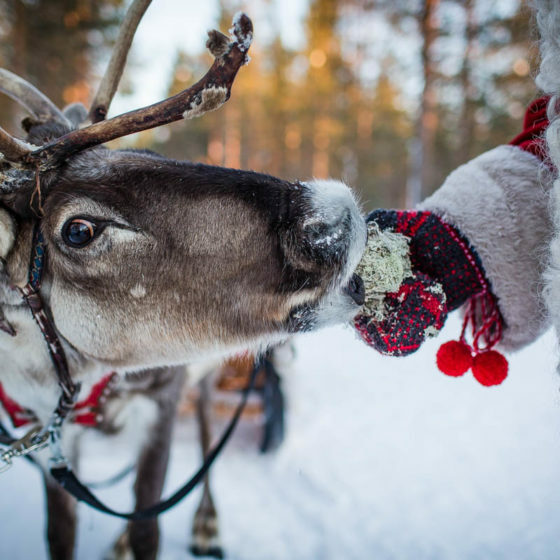 In Rovaniemi, you can visit reindeer farms all year and in the winter, go on sleigh rides pulled by reindeer. 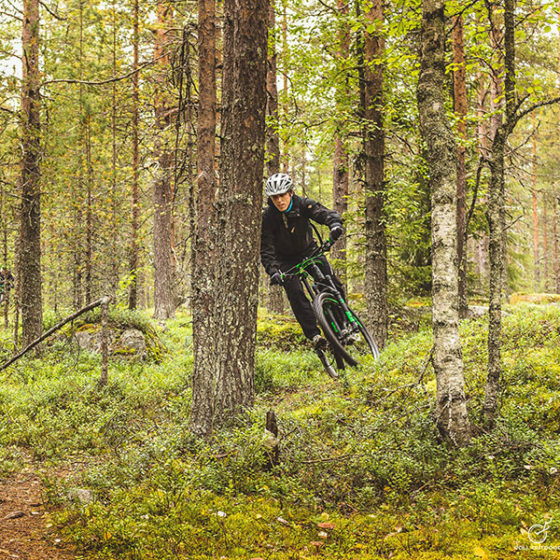 The speed on the ride is fairly modest, meaning the activity is suitable for most people young and old. 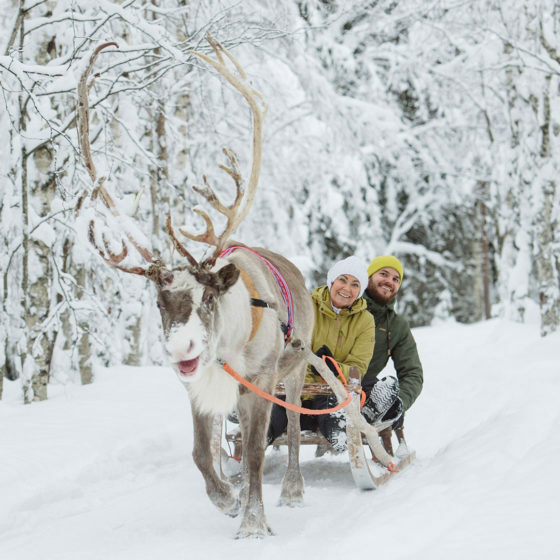 Riding in a reindeer-pulled sleigh is one of those things you simply have to do in Rovaniemi and Lapland, which is why there’s no shortage of offerings. They are cute, loud and they were born to run. Few people leave a husky farm without having fallen for the dogs. 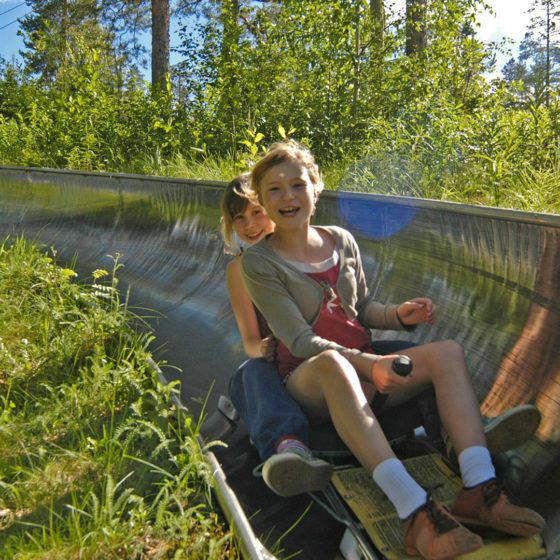 In Rovaniemi, husky farm visits are available all year, and sled tours in the winter. 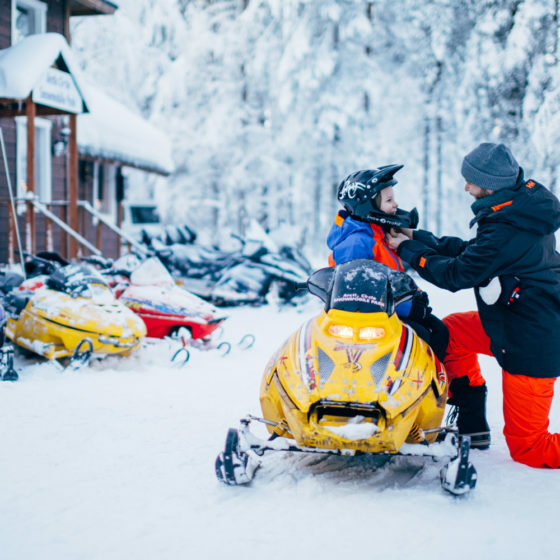 The tours take you through snow-clad forests pulled by a team of dogs that are so eager to keep going that you need a driving lesson before you mount the sled. 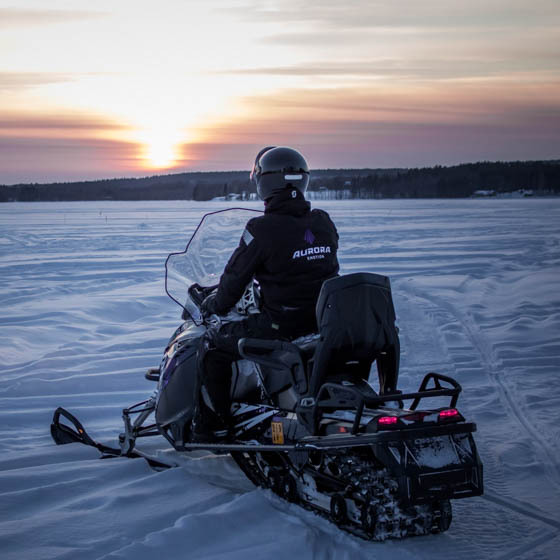 Husky tours are one of the most popular winter activities in Rovaniemi, and foor good reason – they are simply exciting and fun. You’ve seen the great photos, but heard they’re elusive in real life. 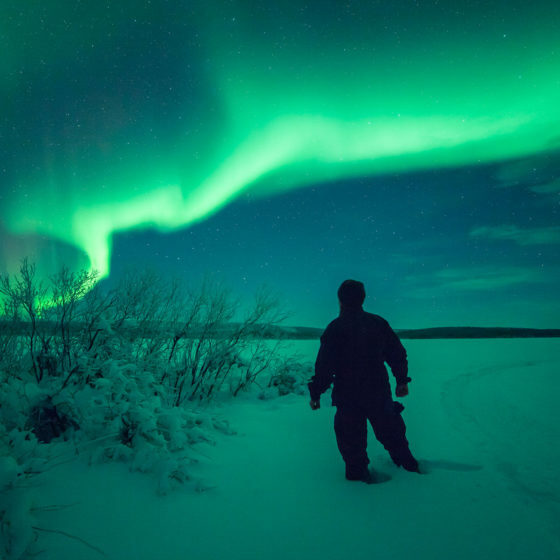 Well yes, they are – one of the most frustrating things for locals is convincing visitors what a magical phenomenon the Aurora Borealis is, but never being able to guarantee the experience. 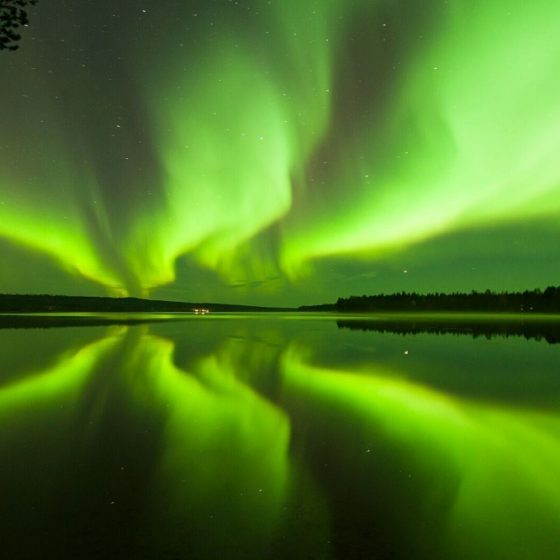 As with all things that are up to nature, it’s all down to luck – the Northern Lights might be out every night for a week and then not show for another week. Going on a Northern Lights tour is always worth it, though – expert guides shed light on the phenomenon and share local legends and stories related to it. Read more on the Northern Lights here and here. 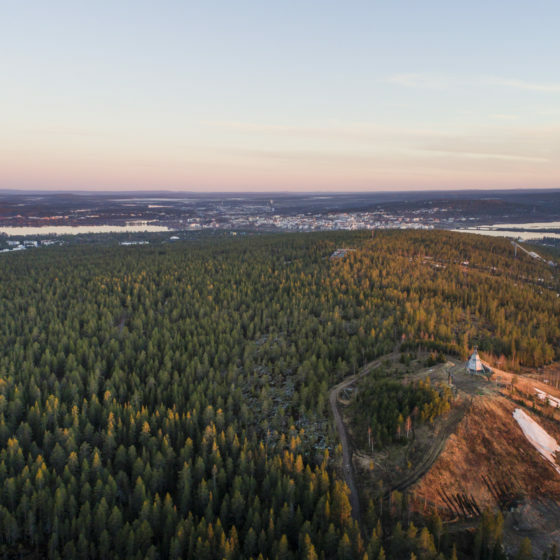 Rovaniemi is the capital of Lapland, meaning most significant regional cultural institutions are located here. 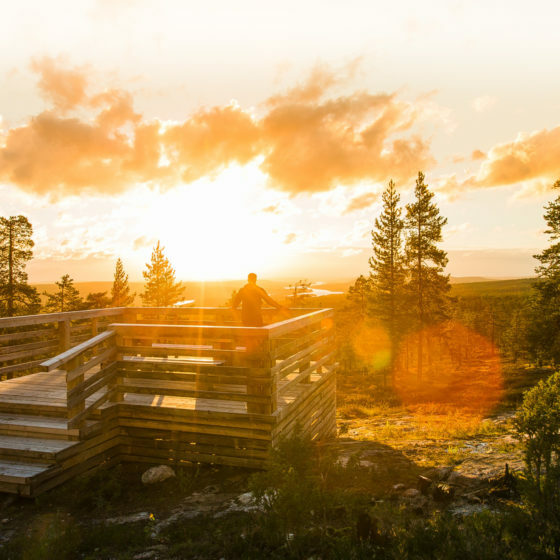 Rovaniemi’s three essentials are museum and arctic science centre Arktikum, the forest-themed Science Centre Pilke and the art-oriented Korundi House of Culture, all of which are conveniently accessed with the Culture Pass. 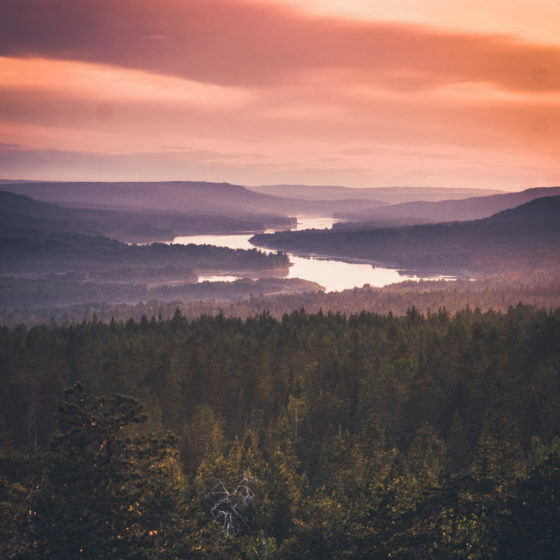 See more on Rovaniemi’s sights and attractions. Ranua Wildlife Park is an arctic zoo which focuses on keeping the animals’ habitat as natural as possible. The zoo’s biggest draws are the polar bears and the brown bears, and other animals include musk oxen, moose, owls, otters and wolves, just to name a few. 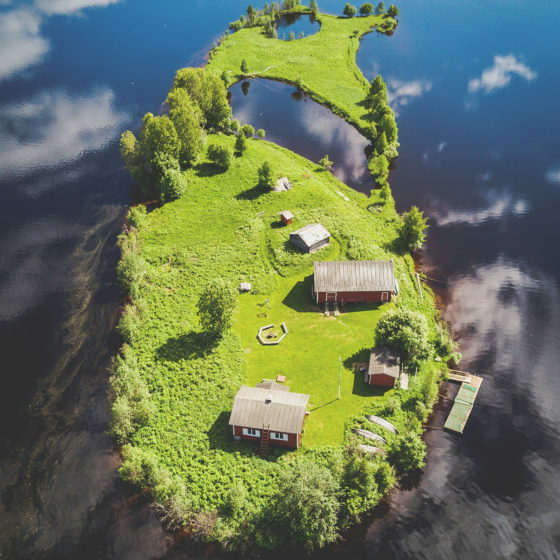 Ranua lies an hour’s drive south of Rovaniemi. Transport to and from the zoo is available, please see here. 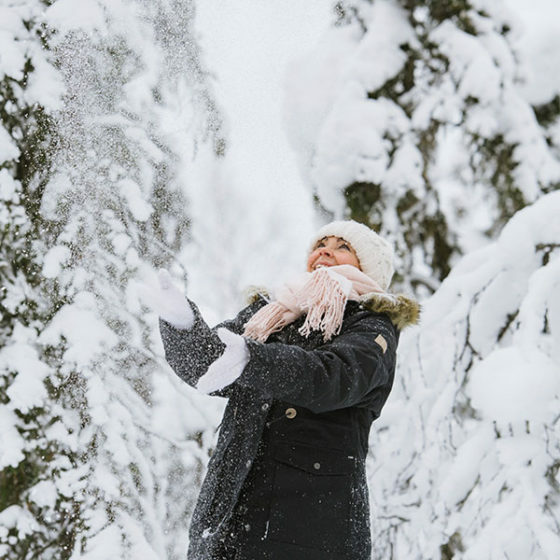 Snowshoes are a terrific way of entering the snowy landscapes while getting some exercise. 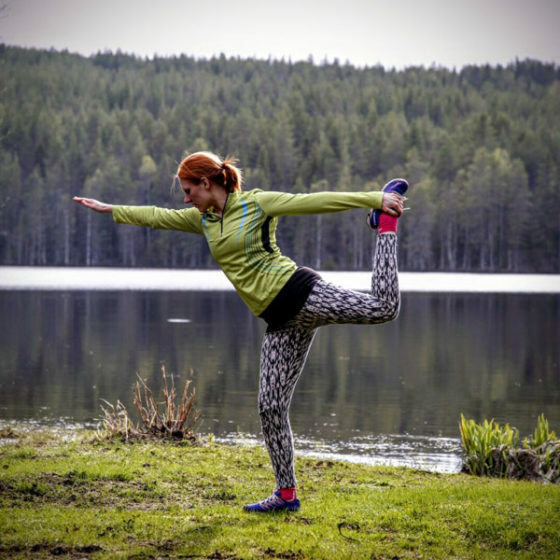 The moderate pace really lets you take in the fresh arctic winter nature and enjoy it’s beauty to the fullest. 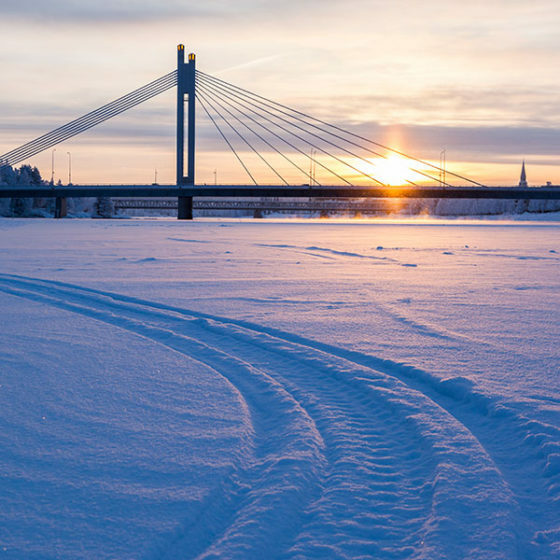 In recent years, snowshoeing has grown remarkably in popularity and is now one of Rovaniemi’s top activities. 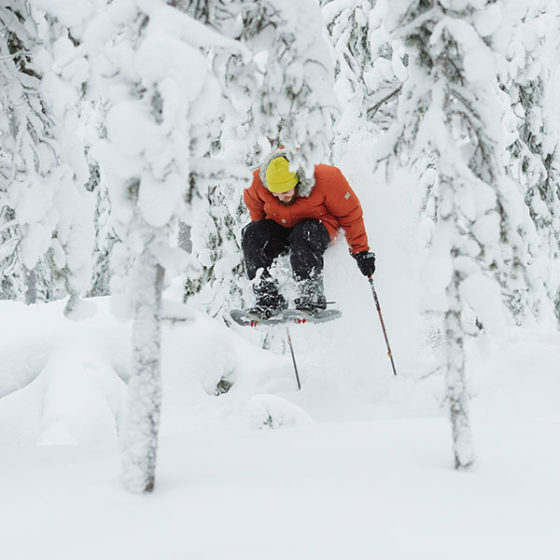 And not just among visitors, either – increasing numbers of locals have also found the joy of snowshoeing and the access it gives to the pristine white woods. 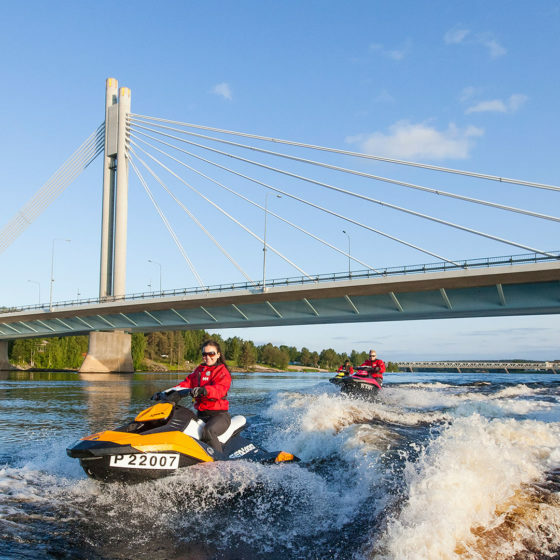 Probably the most classic winter activity in Rovaniemi and Lapland, the draw of snowmobiling never seems to fade. The allure of crossing white landscapes with speed is something so universal most people simply have to have a go. And fair play; snowmobiling is great fun. It is sort of a cross between motorcycling and jet skiing, yet nothing like them. Try for yourself, but be warned: many get hooked. 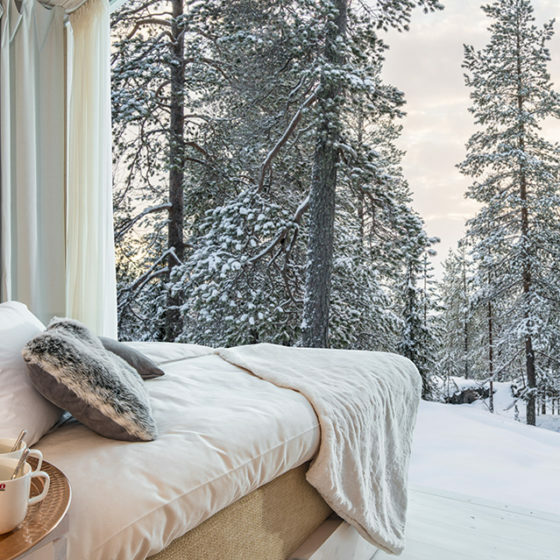 Sleeping in a construction made of snow and ice – or even building one yourself – is something many dream about while others would never swap the warm comforts of a hotel bed. We recommend you try: you’ll get well equipped by the establishment of your choice with a quality sleeping bag and instructions. 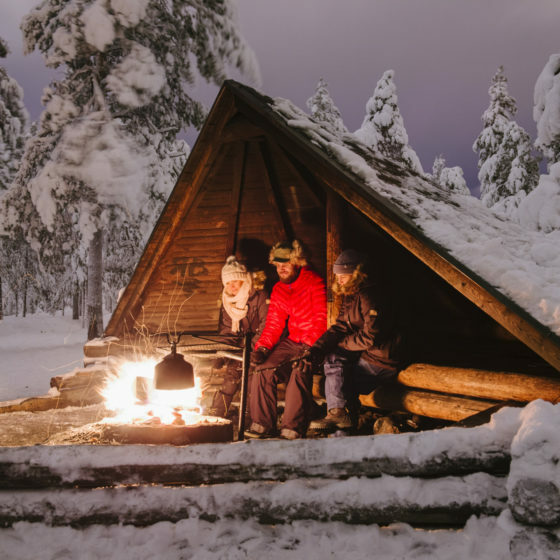 Snow isolates sound very well, which gives you a peaceful sleep, and many claim they’ve had the sleep of a lifetime in a snow hotel. 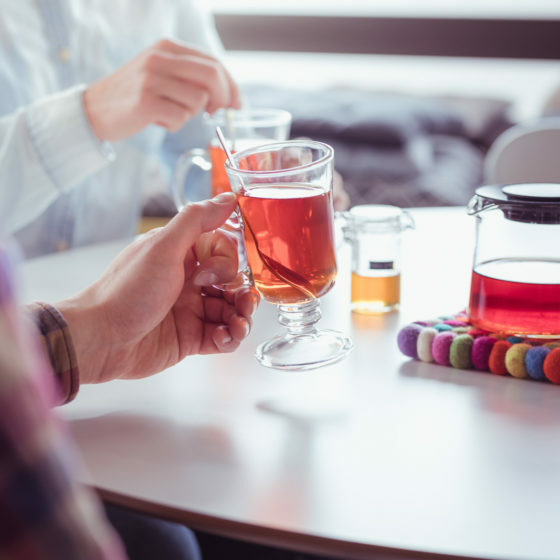 One thing is for sure – the morning is crisp and fresh and coffee tastes better than ever! 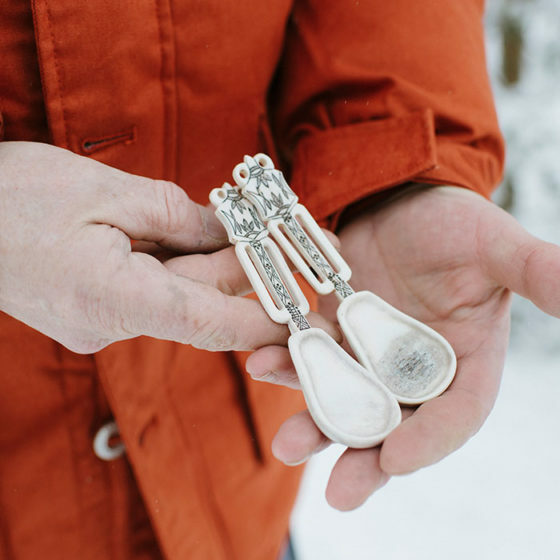 It may sound a bit crazy, but ice fishing truly is something of a national pastime in Lapland and all of Finland. 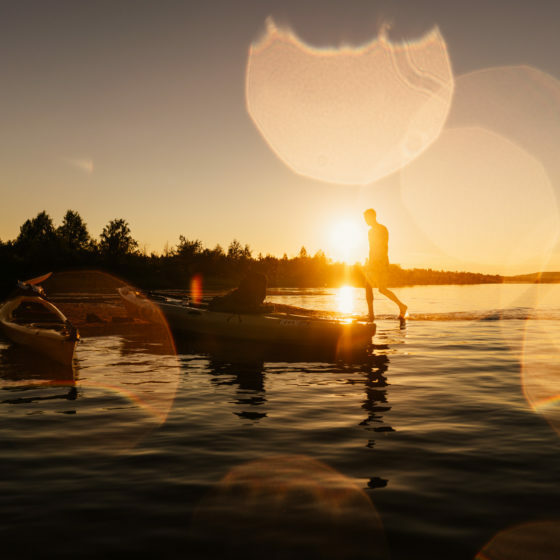 Obviously you want to catch fish, but that’s not the entire game – part of it is simply sitting still on a frozen body of water and contemplating on all things between heaven and earth. 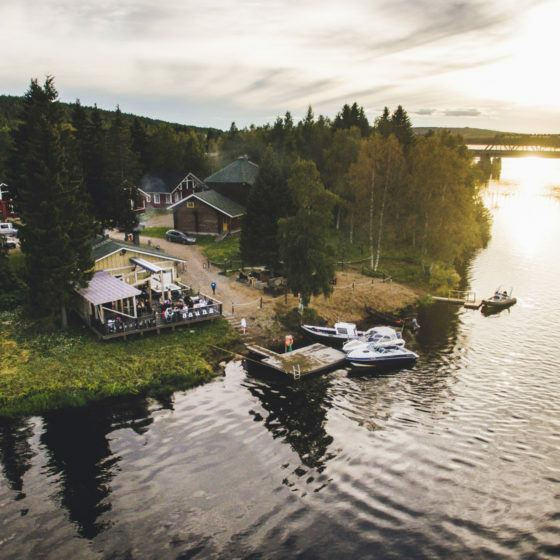 In the spring, around March and April, when the sun shines bright and days are not as cold as in midwinter, people in Rovaniemi flock to the frozen rivers and lakes for ice fishing and enjoying the weather. Join us!